This function will accept the department and section code, check they are valid and call function iiiFN12. 1. 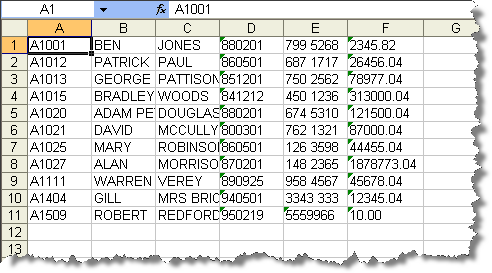 Create form iiiFRM06 – Call Create Excel. Do not use a template. Messages should be shown in a status bar at the bottom of the form. Test your Create Excel application. Remember your document will be written to the training subdirectory of the JSM Instance. If necessary, create the folder…/jsm/instance/training. Note: If you are using the JSM Server on an IBM i server you will need to map a drive to folder /training. If you are using a local JSM Server the folder will be \JSMInstance\training. 5. If you have problems, remember you can use debug to follow your program logic. You could also start the ExcelService with trace and check the trace files. To do this add TRACE(*YES) to SERVICE_LOAD of the ExcelService.